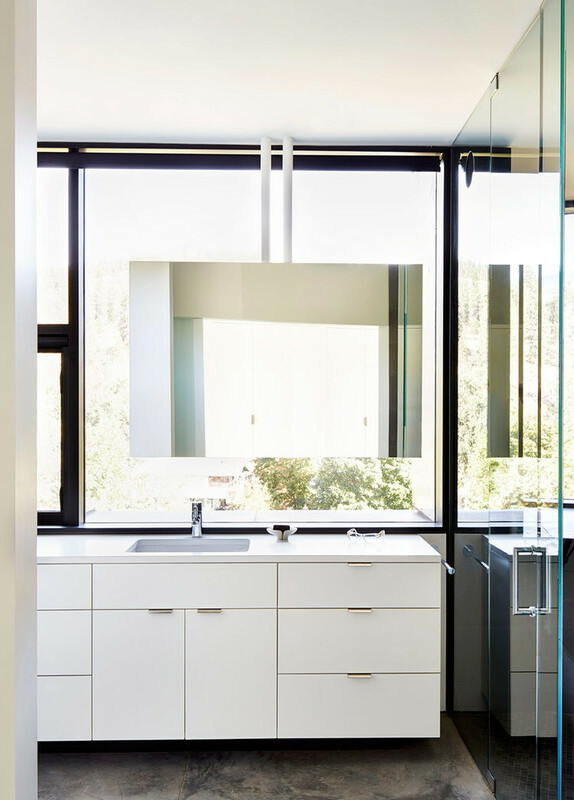 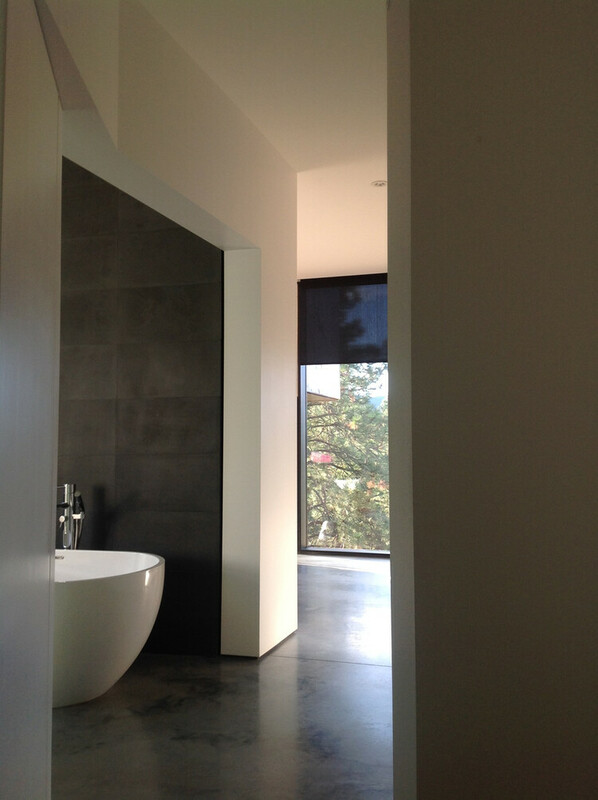 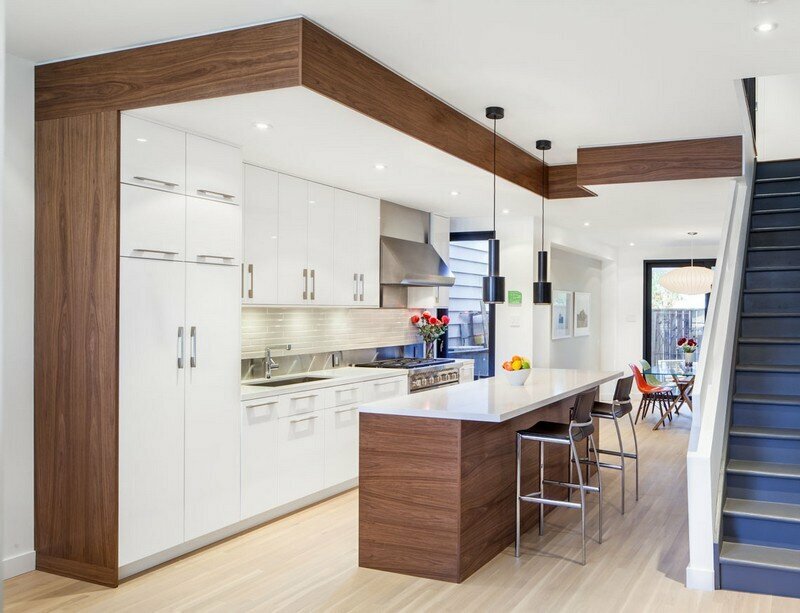 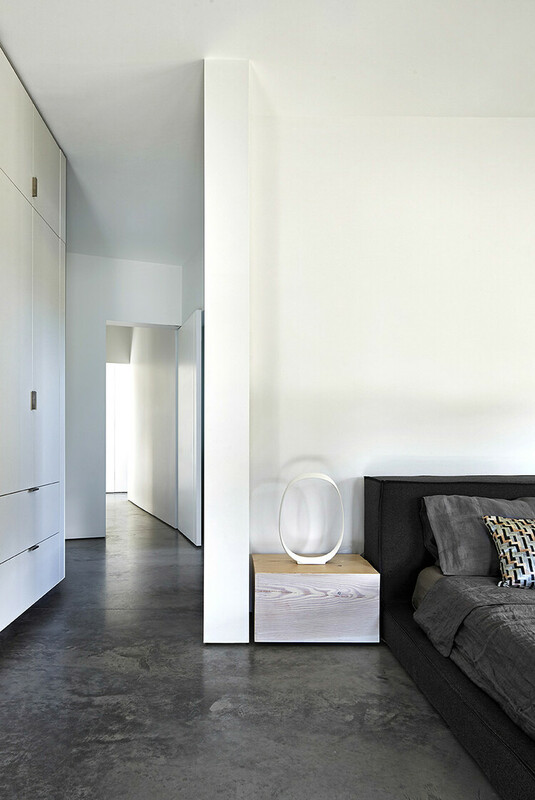 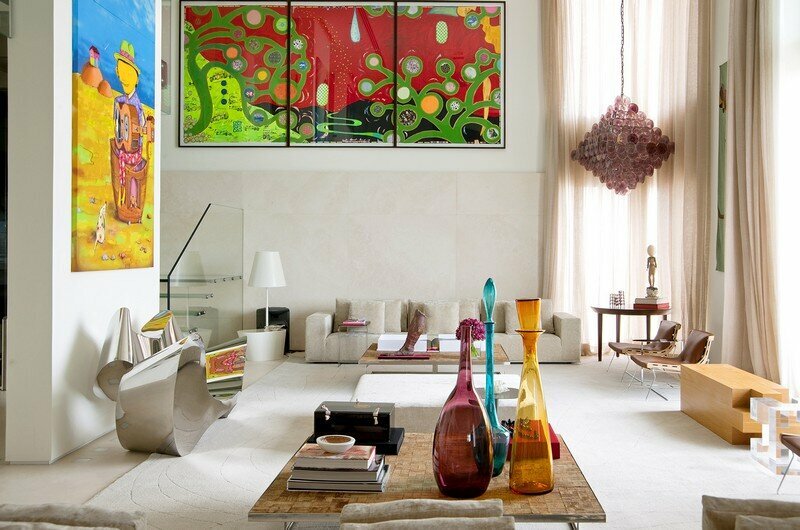 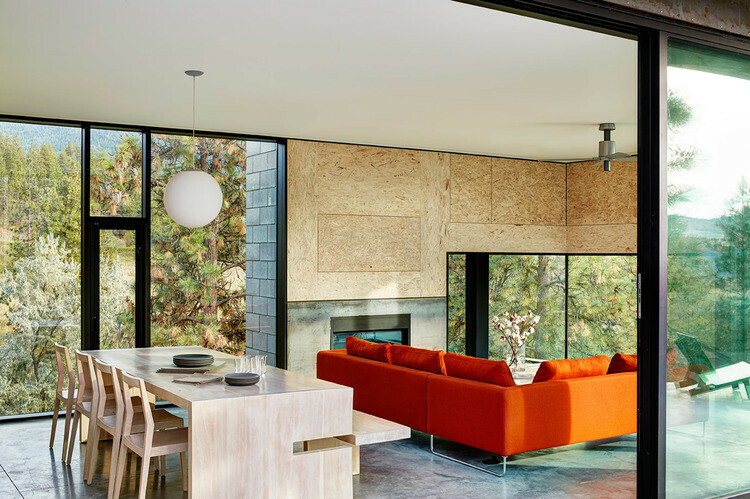 Friesen Wong House is a family home designed by Vancouver-based D’Arcy Jones Architecture. 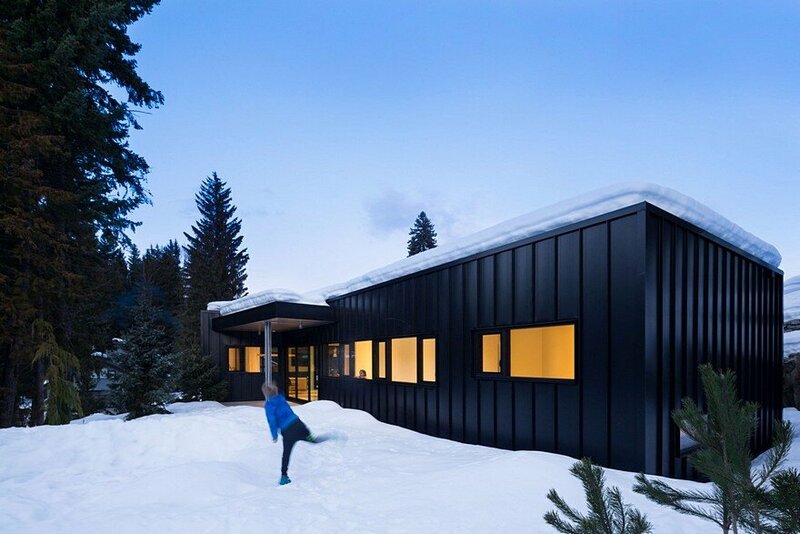 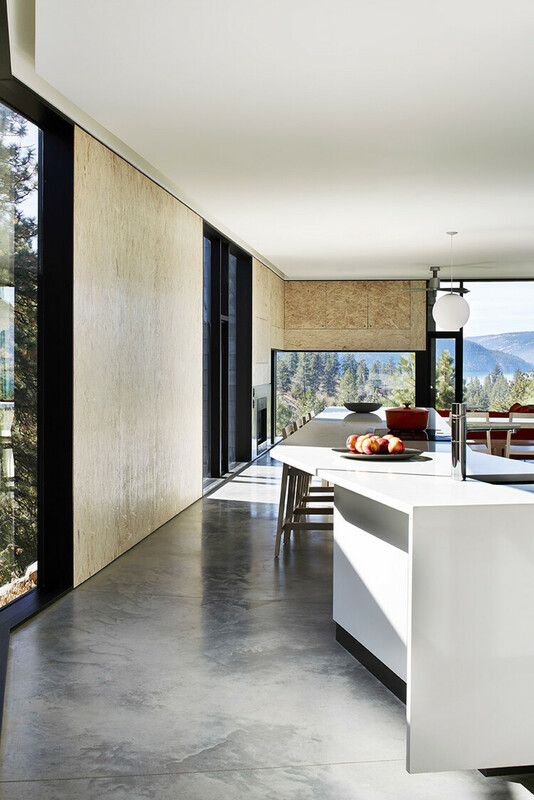 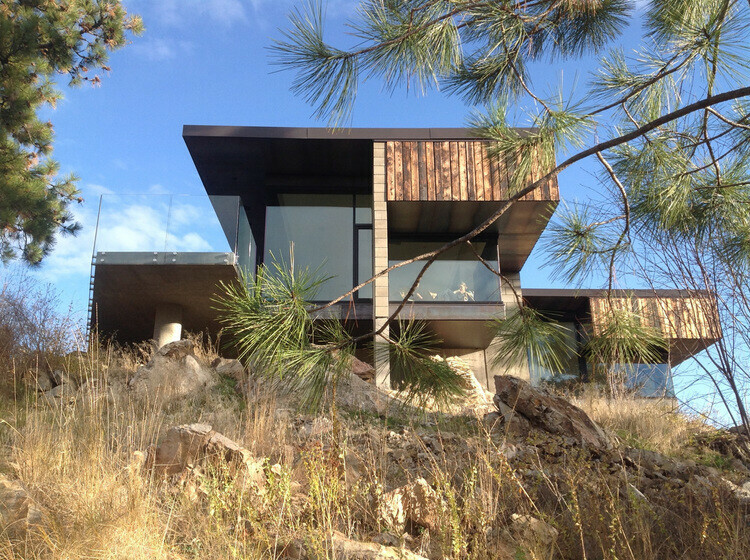 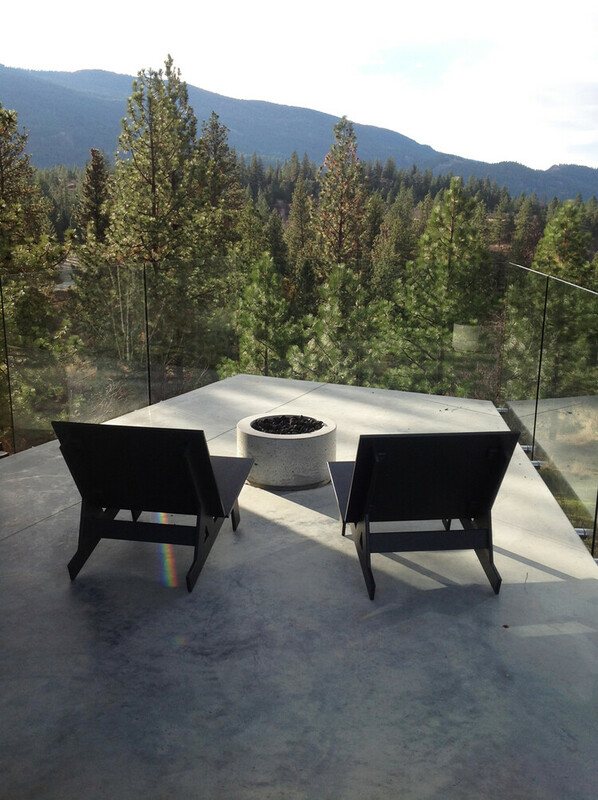 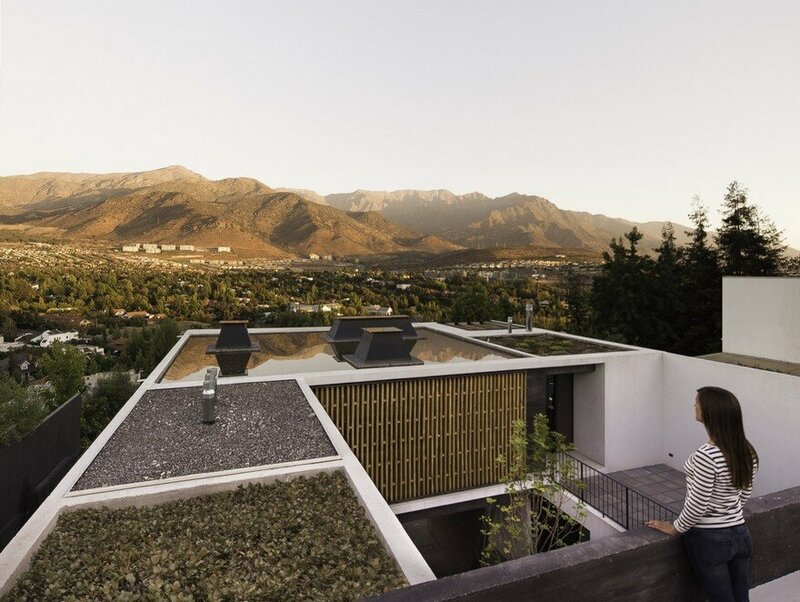 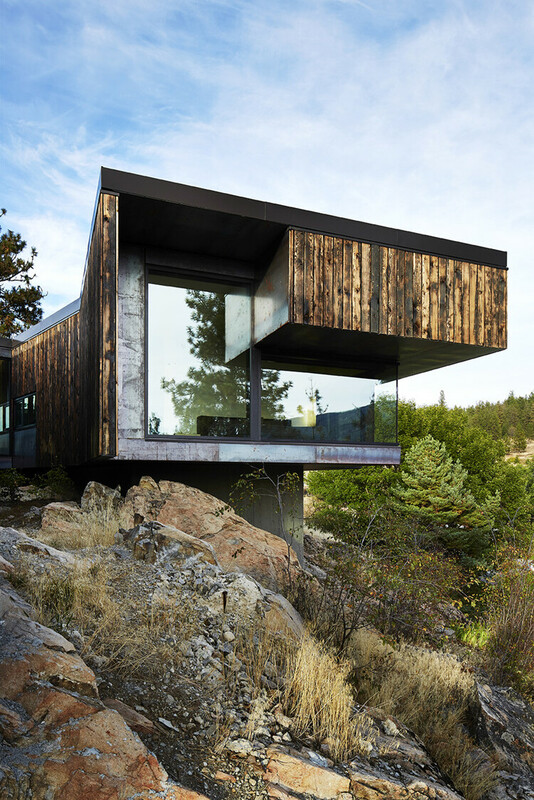 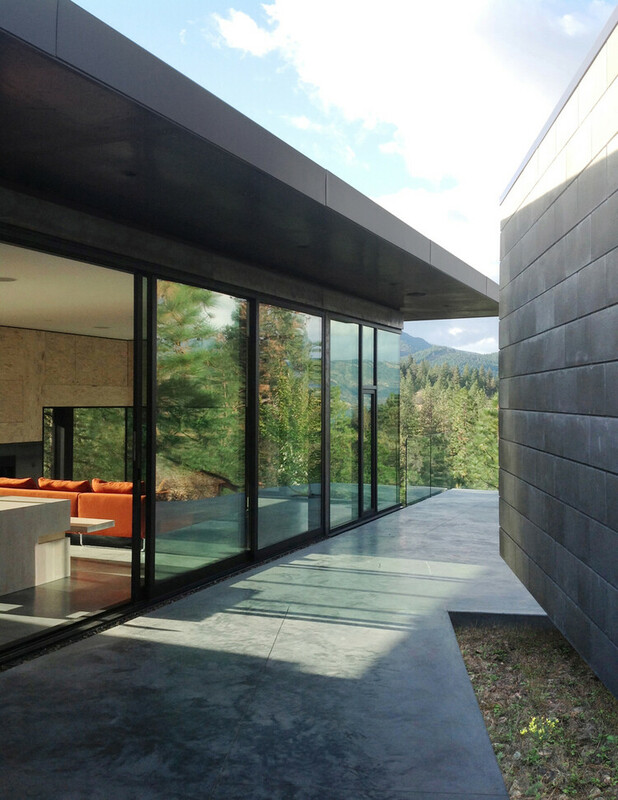 Description by D’Arcy Jones Architecture: The Friesen Wong House is situated on a rocky knoll, at the edge of a non-descript cul-de-sac amid the treed and free flowing topography of the Kalamalka Lake Provincial Park. 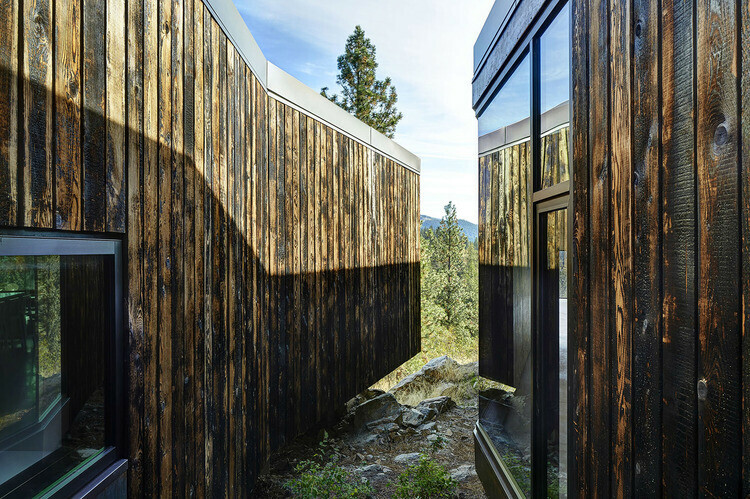 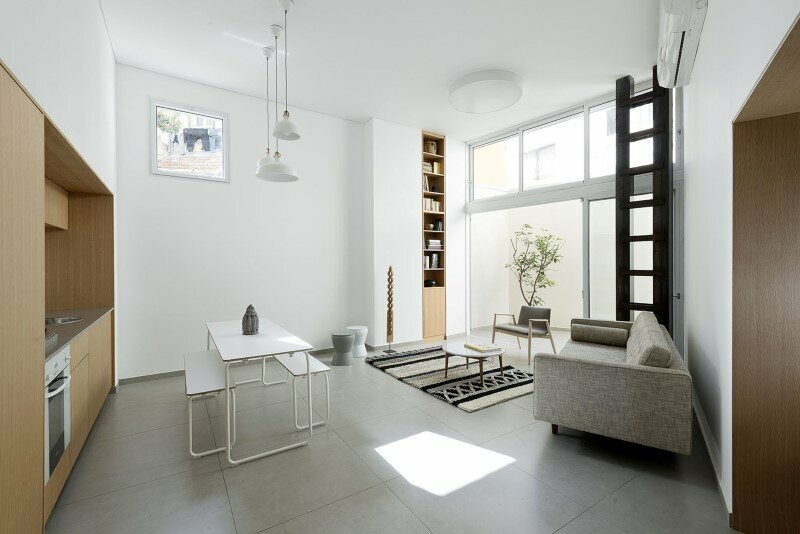 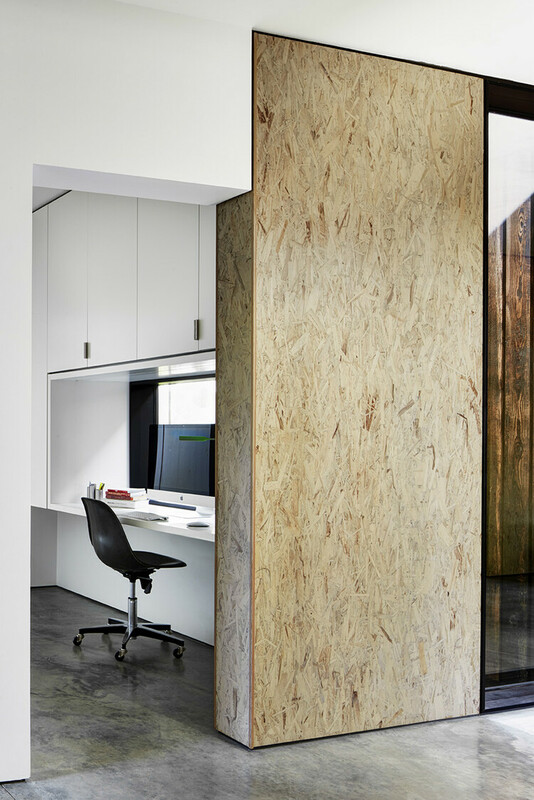 Provoked by a rich history of cattle rustling and gold prospecting, a composition of burned fir planks, raw concrete blocks and steel sheets create a conglomeration of rooms unified under a planar roof. 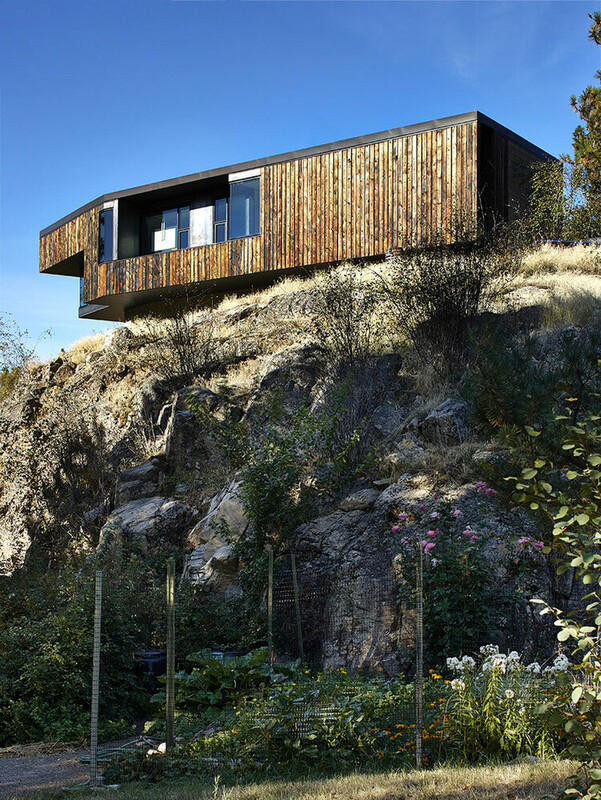 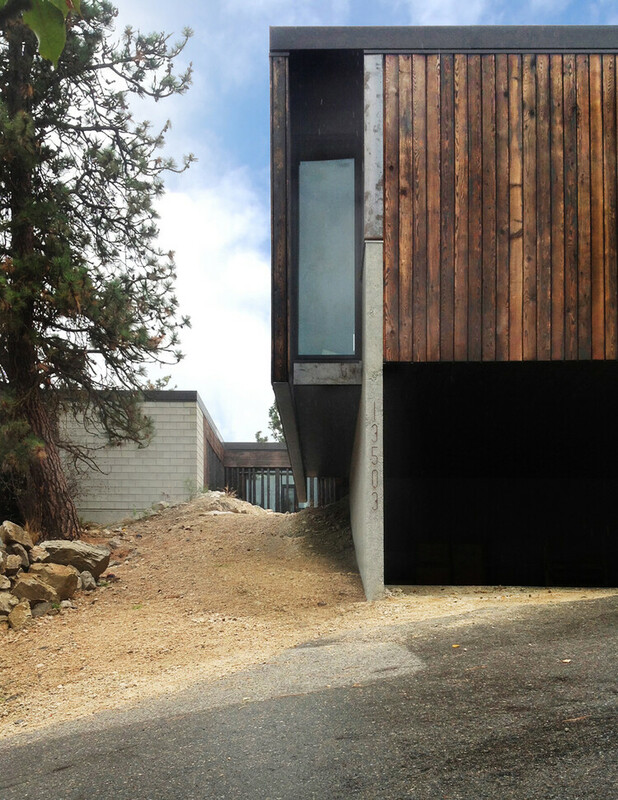 Summarizing a dual relationship to the rocky site, a cantilevered terrace is at one moment level with the existing rock and then, a few steps away, soaring 14′-0″ above it. 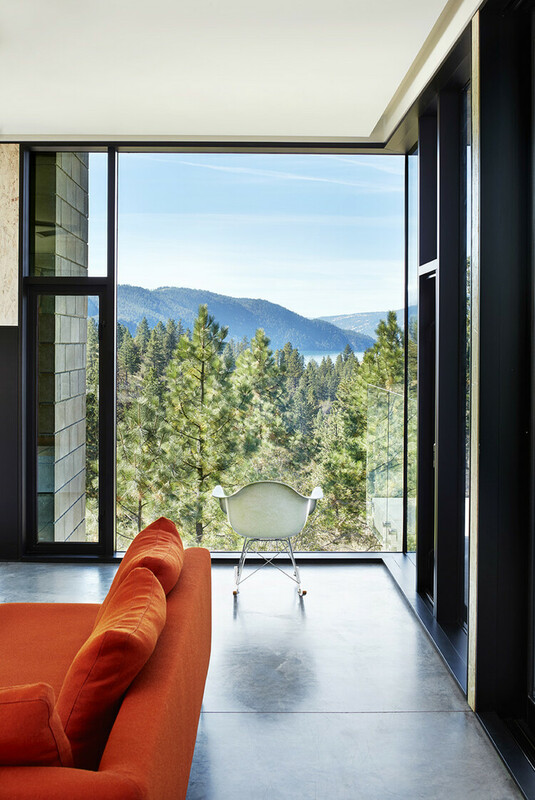 Chunky saddlebags attached to the exterior walls of the living room, master bedroom and master bathroom are actually storage cabinets that in turn shade 5′-0″ high windows underneath, visors well suited to enjoying the views when lying down or seated.